The CoffeeShop Blog: CoffeeShop Holiday Storyboard 10 for Print or Web! CoffeeShop Holiday Storyboard 10 for Print or Web! 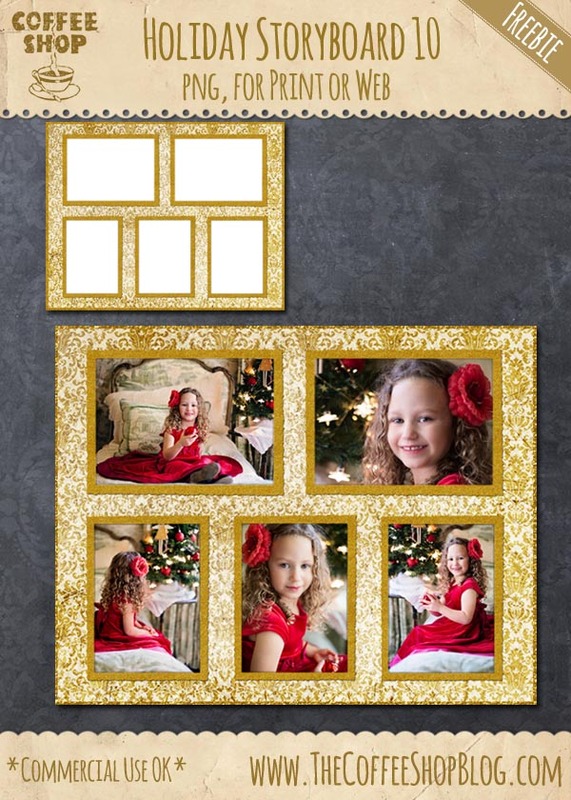 I had so much fun creating this new storyboard in a vintage gold damask with gold frames and trim. I made this storyboard a simple png file with photo cutouts so it can be opened in most editing programs. Simply drag your images under the frames, resize them to fit, flatten and save. This storyboard is large and can be printed or used on your website/blog. For the after I used these beautiful images from Jill Wellington Photography. I have some Lightroom freebies coming out next! Download the CoffeeShop Holiday Storyboard 10. Oooh, I LOVE the gold! This template is just beautiful, Rita! Cristin, I just tested it and the png file downloads and opens in my Photoshop CC. Maybe try downloading it again?